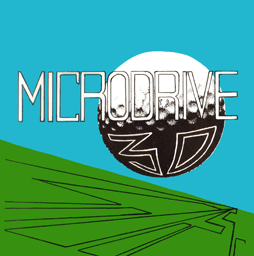 The landscape is true 3-D and the ball reacts to hill etc. 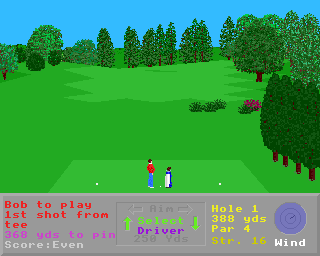 The gameplay actually simulates what happens in golf. Backswing, downswing and release, all mouse controlled. No distracting power meters, you control by skill and feel. 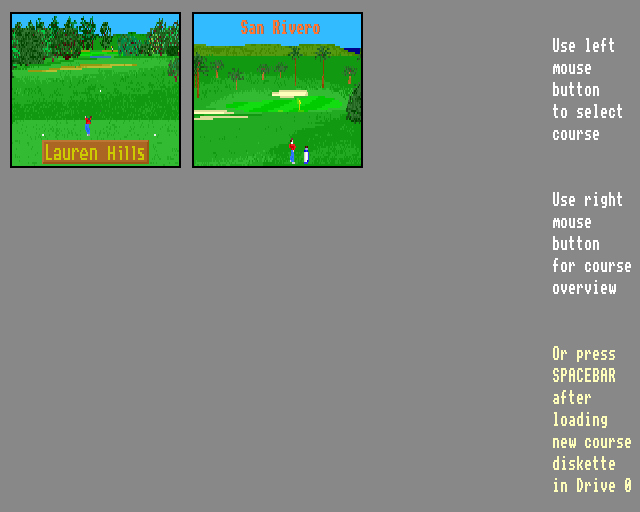 3 skill levels - hints and tips for each hole.